FLYING ON THE ROOFS: CHAGALL’S ART For primary, middle and high schools The activity starts with an introduction of the artist’s biography with some readings, short Jewish tradition tales and some images of his works. A Students will be then required to make a graphic art (with watercolors, wax oils and collages) melting together their own inner world with the one of the author. 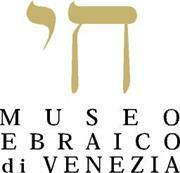 At the end of the workshop there will be a visit to a Venetian synagogue. The targets of the workshop around Chagall’s work are thought to approach students to the work of the painter Marc Chagall framing him within his historical context, deepening Jewish culture from which the artist comes. Take inspiration from his work to reflection everybody’s own attitudes. At the end of the workshop the visit to the synagogue will allow the students to get in touch with the main elements of a synagogue and with their meaning and use. The educational workshop lasts 2hrs about and costs 4.50 € for each student and can be performed only one class at time. It is performed only in Italian.